Every person wants the best and has personal favourites, no matter what! Before I start this post, I would like to make one point very clear that I am not being partial to any one operating system. There are some good features, which help users to do more things from their device. So with the help of this post we are highlighting those features from the iOS point of view. As we all know that iOS is one of the most secure operating systems when compared to Android, etc., reason behind that is Apple devices have much more locked development environment. This ensures that app developers can give limited exposer in the terms of what they can do in the device. This is one of the greatest features of iOS over Android, thus helping in safeguarding the operating system from malware and viruses. Safety plays an important role when it comes to mobile phone nowadays, we keep maximum of data and information in our mobile for the easy access. Leaking of those data may affect us financially or personally. As we all know, iPhone is manufactured by Apple only. So the handsets choice is similar with stringent standard specifications. While on other side the dazzling array of phones sporting the Android operating system is enough to confuse many people considering a purchase, especially an average consumer. Different hardware as well as different versions of Android also is a concern while selecting a phone based on Android platform. With limited options you can choose the correct or best suited product for yourself and iOS provides you that exact option. Android Lollipop is the latest version of Android family, but unfortunately according to Google at the end of April 15, only 9.7 percent of the active Android devices are running Android Lollipop (with Android 5.0 Lollipop running only on 9 percent of devices and Android 5.1 at 0.7 percent). While on iOS you receive the Software update as soon as Apple releases it. The reason behind this inequality is again the long list of vendors and the device hardware, so it is suggested being in the line of updated device, than to wait for manufacturer blessings. My mother loves technology, but even she’d admit that she’s far from a tech expert. So, when she asked my professional advice as to what kind of smartphone she should get, the answer was simple: get an iPhone. The fact of the matter is that Apple phones are incredibly easy to use. I didn’t need to sit down with my mother to explain how it worked – she was able to figure things out on her own simply by playing with it. The main point out of this is UI of iOS – it’s simple and in iOS key features are easy to find, than Android. Lastly we would like to mention that iPhone has become a status symbol. No matter how expensive Android phone you are using less people will be attentive towards it, while iPhone catches people’s attention automatically and they notice your device. Hence, iPhone is a premium in class with a promise of built quality, design and better hands on experience. So, concluding this post I will suggest you to buy an iPhone if you are planning to buy a new smartphone. 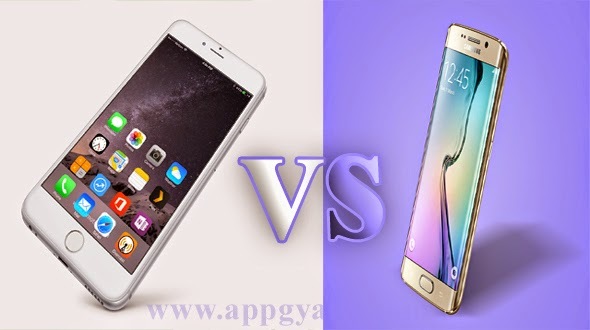 Hope you have enjoyed the post and it will help you in deciding the right smartphone you should buy. Do share your views and questions (if any) with us in comment section below. You can also subscribe to App Gyaan RSS Feed for all the latest update directly into your mail box.